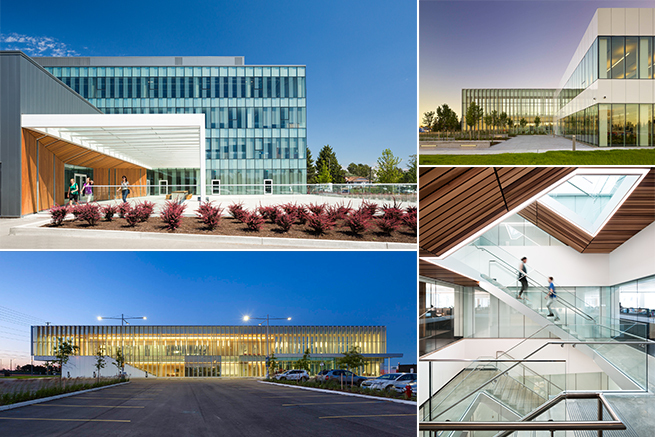 OTTAWA, March 7, 2018 – RDHA, a Toronto-based architecture studio that has specialized in public buildings for almost a century, and has in recent years undergone a successful renewal, is the recipient of the Royal Architectural Institute of Canada’s 2018 Architectural Firm Award. Since then, the current partners, Tyler Sharp, Geoff Miller, Bob Goyeche, Rob Boyko, and Momin Hoq, have redefined the office structure and the creative design process, attracting aninflux of young talent. Outside of the day-to-day of running a practice, principals and staff are also involved in numerous volunteer, academic, and professional pursuits.